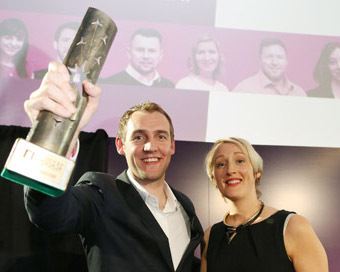 The AIB Start-up Academy finals were held in The Light House Cinema in Smithfield recently and saw 14 finalists pitch to a panel of expert judges in a bid to win the top prize. Ostoform won a prize package valued at €200,000, including a €20,000 cash injection, designed to bring their start-up to the next level. Co-founded by Rhona Hunt and Kevin Kelleher, Ostoform is a medical device that aims to manage peristomal skin complications for people with ileostomies.